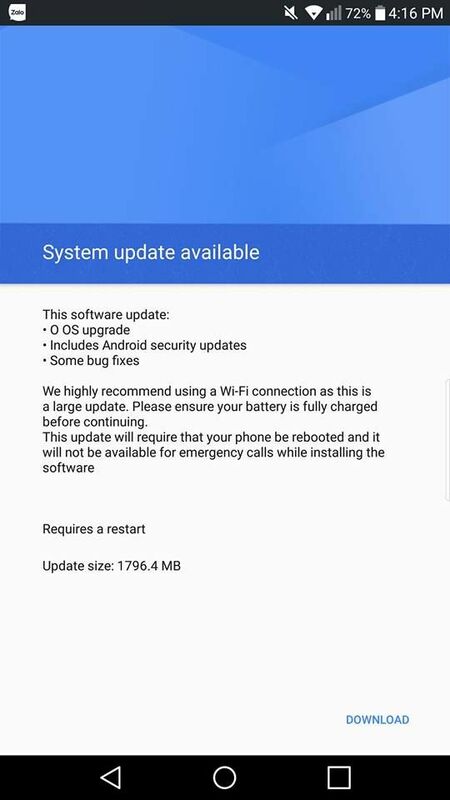 LG has now entered the update game. Many of the manufacturer’s Android devices are receiving Oreo OTA update lately. The LG G7 comes with the latest software version out of the box. Later the smartphones inducing LG G6, LG V30, and LG V30 Plus were updated to similar LG UX 6.0. The Korean variants of LG V20 are also on the latest Android 8.0 firmware update. The KDZ files are also available for download. It is time for the US carriers to update LG V20. 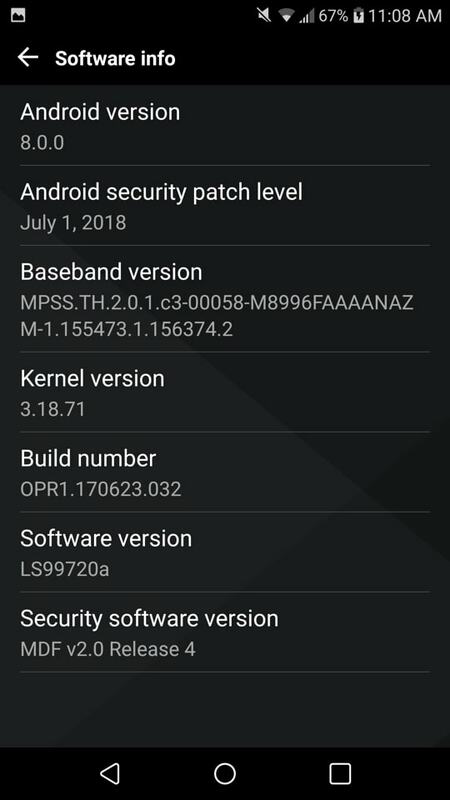 The first US variant to receive Android 8.0 Oreo is the Sprint LG V20 with model number LS997. Currently, the Oreo update is only available over-the-air (via OTA). Meaning, we will soon post the KDZ link as soon the V20A firmware is available. Soon LG V20 H910 (AT&T); H918 (T-Mobile); US996 (US Cellular); VS995 (Verizon) be updated. As usual, the update log doesn’t reveal anything other than OS upgrade to Oreo, includes latest Android security updates, and some bug fixes. The OTA weighs around 1.8 GB in size which makes it huge. 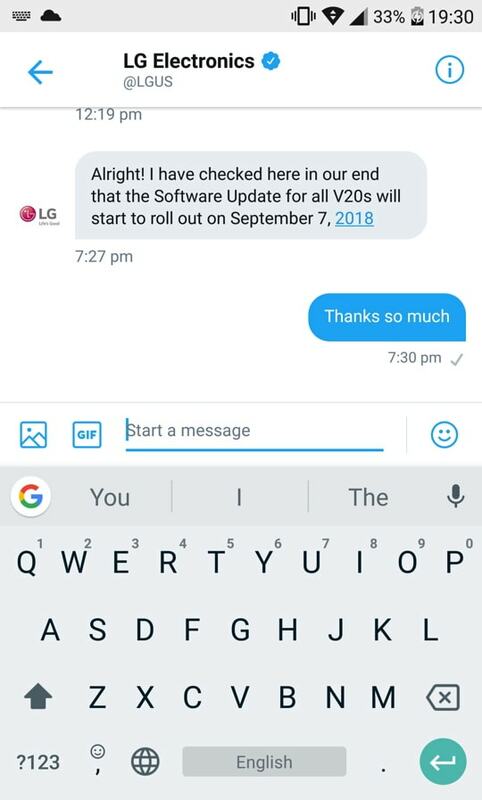 Moreover, one LG V20 user has directly contacted LG’s twitter handle asking about the Oreo update rollout. The representative said that it will be deployed by September 7, 2018. The KDZ are already available for Korean variants of LG V20. Sprint LG V20 Oreo KDZ full stock firmware will be updated here. So stay tuned.